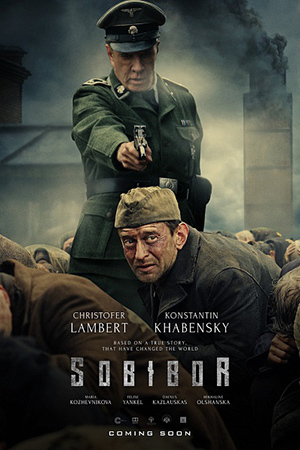 "Sobibor" is based on the history of the Sobibór extermination camp uprising during WWII and Soviet officer Alexander Pechersky. When he was a POW in Sobibor, he managed to do the impossible - to organize a revolt and mass escape of the prisoners. Many of the escapees were later caught and died - the rest led by Pechersky managed to join the partisans. Script based on the book by Ilya Vasiliev: "Alexander Pechersky: Breakthrough to Immortality."